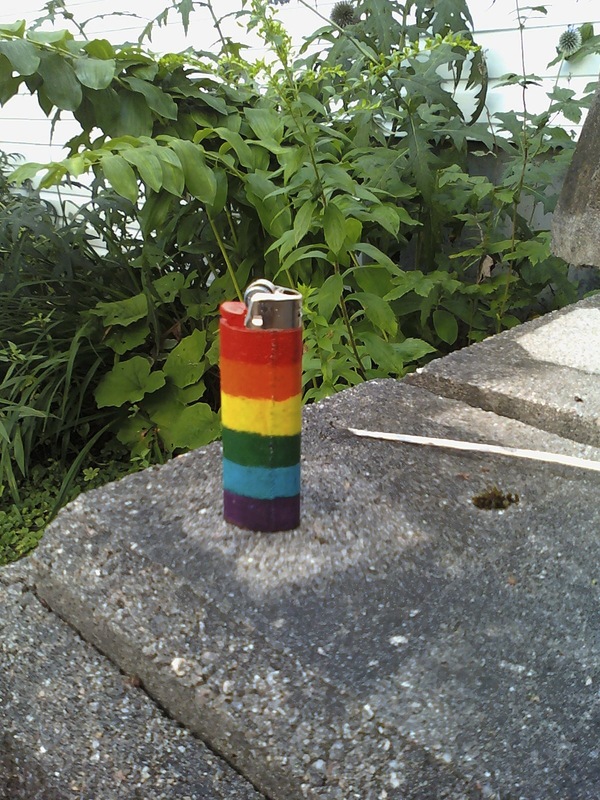 I had a quiet evening in Fredericton on one of my trips, and a couple of lighters in my kit bag, so I decided to start coloring them. 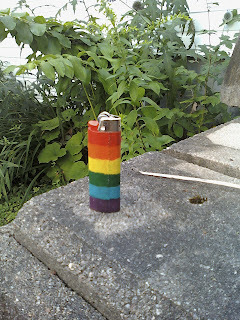 This is actually the third rainbow painted lighter I made. The first one got borrowed at Eclipse and did not end up getting returned. The second one I gave to Pixie Sun Child before we went in opposite directions in Ontario. Finally the third one I made when I got back to Halifax.